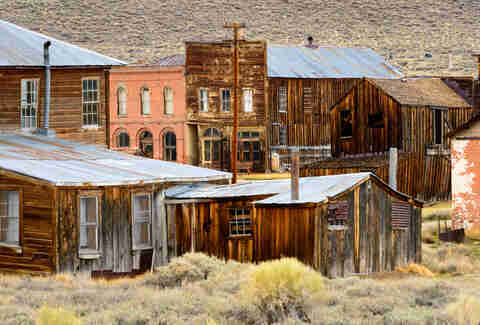 We owe a lot of our ghost towns to the Gold Rush, when communities sprang up around lucrative mines and were abandoned, almost overnight, as soon as everything stopped being so lucrative. 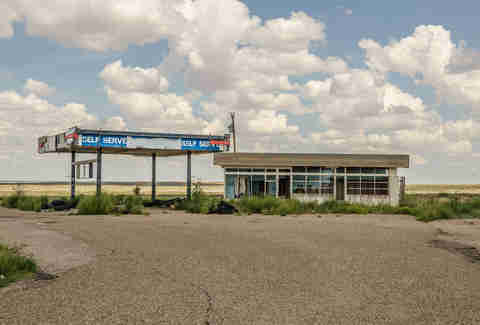 Others are casualties of the death of Route 66, or even still inhabited -- but only by the final three or four people who refused to leave. Once bustling with bars, brothels, and bandits, these 12 hamlets are now eerily desolate. You can visit them today, but you’ll find many of them so perfectly preserved -- furniture, dishes, even beer exactly where they it was left -- they feel like dusty time capsules from a century ago. All that glitters may not be gold, but it can still make you a fortune. Copper lured brave miners to this remote Alaskan spot in the early 1900s after two prospectors stumbled upon what turned out to be $200 million worth of the metal while resting their horses. They formed what was then called the Utah Copper Company in 1903 and within a few years, with the help of J.P. Morgan and the Guggenheims, turned the place into a “self-contained company town,” complete with a tennis court and skating rink. 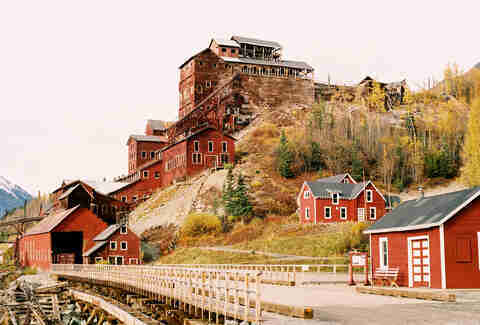 One of Kennecott’s five mines contained the world’s richest copper concentration -- they named the claim "Bonanza." By 1938, however, the copper supply was running low enough that the mines shuttered. Today, it’s a National Historic Landmark in the heart of the massive Wrangell-St. Elias National Park. 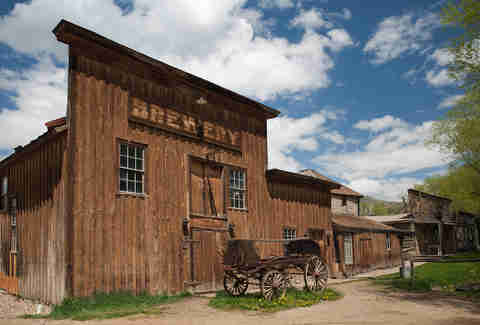 Founded in 1880, St. Elmo was once a highfalutin gold mining town and popular whistle-stop on the Pacific Railroad. It boasted almost 2,000 residents and more than 150 mines, and enough hotels, brothels, saloons, and dance halls to keep everybody in town happily cutting a rug. When the Alpine Tunnel closed in 1910, however, the music stopped. With the price of silver already down, the last remaining rail service stopped in 1922. Today, there's little left save a cabin where you can stay and a general store (open during the summer and into October, depending on the weather) that sells antiques and rents ATVs. 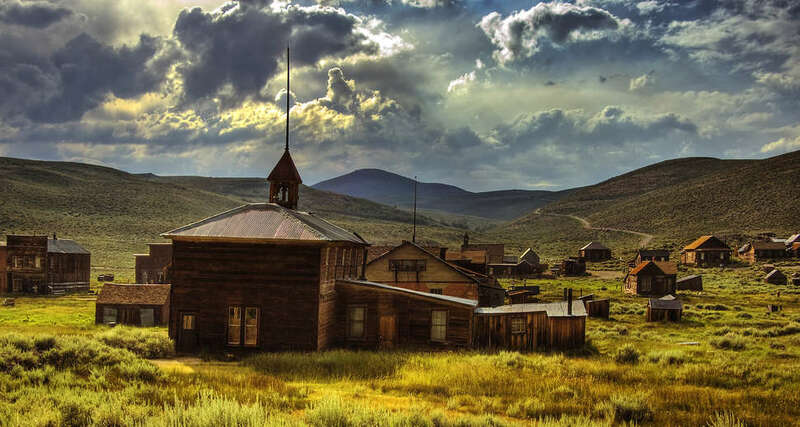 Like a straight-up Western movie set, Bodie is one of the most famous (and the largest unreconstructed) ghost towns in America, with 2,000 buildings (including 200 restaurants) still surprisingly well-preserved. Established in 1859 when William S. Bodey discovered gold in the area, the original camp of around 20 miners mushroomed to some 10,000 during the California Gold Rush. By 1880, the town boasted 65 saloons and a red-light district. As the gold left, though, so did the townsfolk. By 1942, the last mine had shut down. Today the town is a National Historic Site protected by the California parks system and in a state of “arrested decay.” The stores may be stocked with goods, but you’ll need to bring your own food and water since nothing’s for sale. There are still pool tables complete with balls and cues, plus assorted chairs and cutlery, resting exactly where it was left more than half a century ago. Upon discovering silver in 1880, two prospectors eager to make a quick buck created a Miner’s Protective Association, and immediately the site attracted 23 other miners; within two weeks, they’d built streets and a courthouse. Within five years, Ashcroft boasted 20 saloons and more than 3,500 residents. But like most mining towns, at some point they ran out of stuff to mine, and by the end of 1885 only 100 residents remained. By the 1930s, the Winter Olympics brought a new wave of attention to the area, including, at one point, plans to construct a huge ski resort. Billy Fiske, captain of the American bobsled team and the newly minted, youngest gold-medalist in any Winter Olympic sport -- he was 16 in 1928 -- and his business partner Ted Ryan built the Highland-Bavarian Lodge. Then when Fiske was killed in WWII, the momentum fizzled. 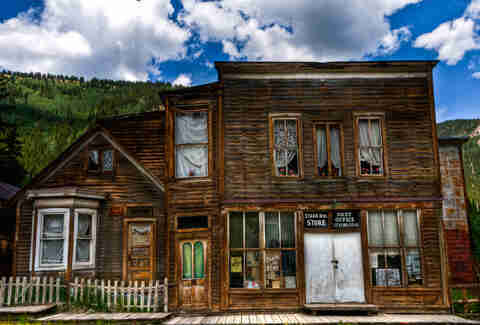 Ashcroft has remained a ghost town since 1939. Plans for the ski resort, though, moved about 10 miles north -- to a little up-and-coming town named Aspen. 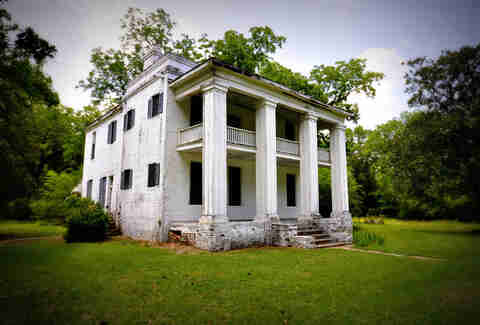 Cahawba has an illustrious history for a ghost town: from 1820 to 1825, it served as Alabama’s state capital before flooding enough times that most of the residents fled for drier pastures (and took the title of capital with them). It remained for years a hub of cotton distribution. The Confederacy built a prison there during the Civil War called Castle Morgan, where thousands of Union soldiers were kept between 1863 and 1865 -- when another massive flood started driving people out for good. By the early 1900s, most buildings had been demolished, too. Live fast, die young: This Gold Rush town did just that, having been founded in 1904 and deserted by 1916, despite being the third-largest city in Nevada for a time. Sitting on the edge of Death Valley, Rhyolite offered residents hotels, a hospital, an opera house and symphony, and even its own stock exchange. Its red-light district was infamous, employing ladies from such cosmopolitan locales as San Francisco. Though it’s been abandoned for almost a century, you can still see Rhyolite in a number of old Westerns, including The Air Mail. The town is still known for its many bottle houses. Today, visitors will still see the skeletons of a three-story bank, part of the old jail, the general store, as well as Rhyolite's train station. 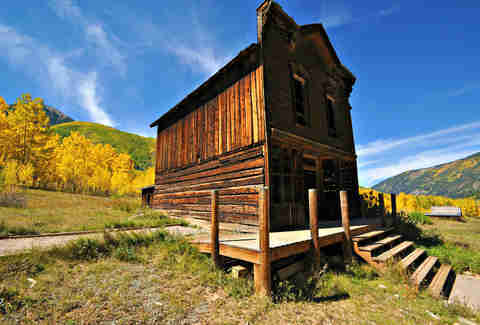 Former home of the famous frontierswoman Calamity Jane, this old gold-mining town (est. 1863) was known for its rough-and-tumble ways. The remote spot didn’t have law enforcement or a justice system, and, as a result, robberies and murder were the norm, and gangs of outlaws known as road agents killed 100 people between 1863 and 1864 alone. Virginia City briefly served as the capital of the Montana Territory (before it was a state) and grew to a population of around 10,000. While nearly half of the city’s buildings are still originals, they've been restored, and the town -- which now rocks live music and cabaret shows -- is a lively tourist destination. Named for the semi-precious red gems prospectors discovered there along with gold, Garnet was inhabited from the 1860s through about 1912 -- when a fire razed half the town. Since the gold had pretty much run out anyway, there wasn’t much point in rebuilding it. Garnet lasted as long as the mines did; which is to say, not that long. 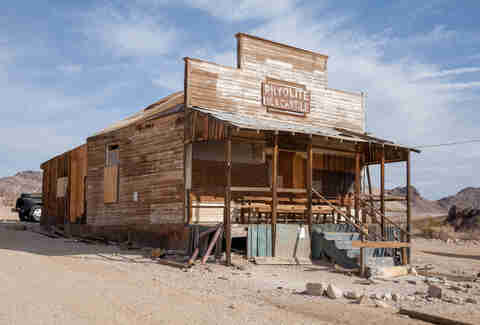 In its heyday, though, the isolated town maintained 13 saloons, four hotels, two barbershops, a doctor’s office, and a school, as well as a daily stagecoach route to nearby towns. A fire razed most of Garnet in 1912; residents bailed. 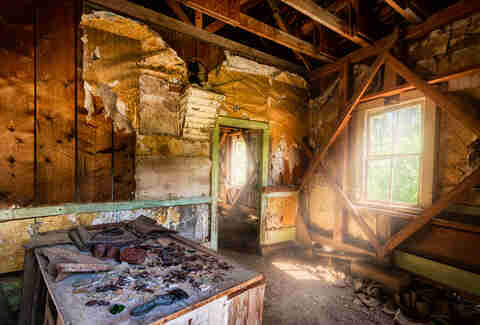 Now, more than 30 historic buildings (a dozen cabins, a store, a saloon, and part of the J.K. Wells Hotel) remain, their interiors practically untouched and still full of dishes, furniture, and clothes. Elk Falls bills itself as “the world’s largest-living ghost town,” meaning there are still around 100 people living there. So, it's not technically abandoned, but close enough. 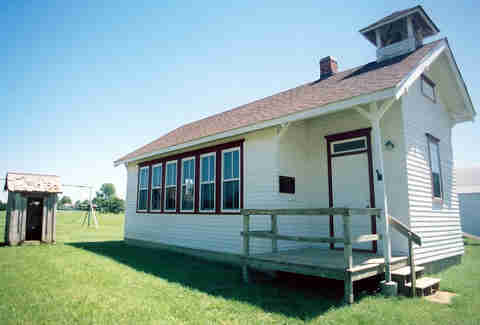 Founded in 1870 by R. H. Nichols, the settlement at its peak maintained two stores, a dentist's office and doctor’s office, not to mention a school with more than 200 students. When the town lost a controversial election to become the county seat, it was raided by a rival, Boston, and lost its county records. Still, the population kept rising through 1880, when it peaked at 513. By the 1920s, though, most were on their way out. Today, the town has the distinction of calling itself the Outhouse Capital of the World; there’s even an annual tour. With a name derived from the Swedish word "batstu" (meaning sauna), this Jersey town was once a bustling ironworks that supplied the Continental Army during the Revolutionary War. Founded in 1766, it was essentially a "company town" owned/run for 92 years by William Richards before its iron and charcoal production were replaced by a mine in Pennsylvania. Industrialist Joseph Wharton (yep, that Wharton) stepped in and bought the town in 1876, experimenting with agriculture and manufacturing before also throwing in the (terrible?) towel to presumably start his little business school in Philadelphia. Over 40 of the original structures remain today, including Batsto Mansion, a sawmill, a blacksmith, ice and milk houses, a carriage house and stable, and a general store. You can even mail letters at the post office -- it's totally open. 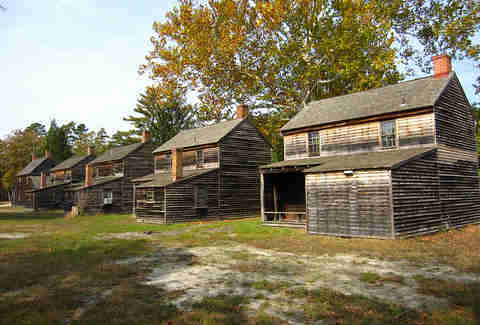 The buildings have been fully restored and are maintained as a historical site, with a museum and visitors' center. 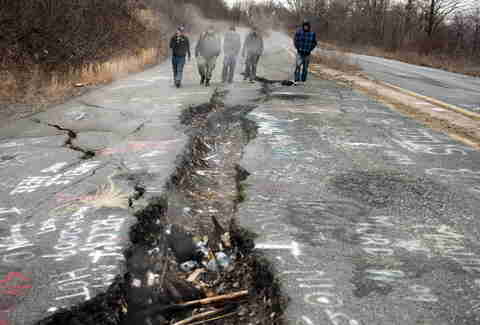 In the late 1800s, Centralia was a thriving coal-mining town with a population of around 2,700. Technically, technically, Centralia is not a ghost town since as of 2017 “under five” people live there. However, it makes up for this in eeriness and potential for actual ghosts because Centralia is literally on fire. An abandoned coal mine caught fire in 1962, and it’s been smoldering underground ever since. Residents evacuated, and the town never recovered. Over time, the population dropped steadily to the handful who remain today. When they die, the state will take their property through eminent domain. The coal seen fueling the fire is expected to last another 250 years. A relic of the legendary Route 66, Glenrio straddles the Texas-New Mexico border, so it’s officially part of both states. This apparently had several benefits: the town’s gas stations were built on the Texas side, where the gas tax was lower, and its bars were wisely built on the New Mexico side, since alcohol sales at the time were illegal in Deaf Smith County, Texas. The town’s life cycle was short -- founded in 1903, it became a popular way station for travelers. When I-40 was built and motorists stopped coming through, it withered. This, I am fairly certain, is also the plot of the Disney-Pixar animated classic Cars. Fittingly, the town motel makes an (animated) cameo in the movie as a racing museum. Sophie-Claire Hoeller has had frequent flyer status since she was born in a Lufthansa terminal. Follow her @Sohostyle.